Dr. Vigil Rosemary brings more than 11 years of experience in dealing with different kinds of Obstetric and Gynecological cases. 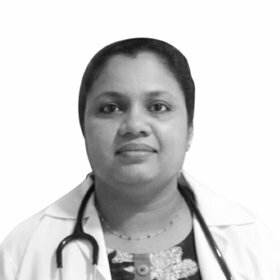 She has trained in Laparoscopy, Colposcopy and Ultrasound. Dr. Vigil obtained her post-graduation from a prestigious medical college in India. She was a post graduate teacher and was keen in imparting clinical knowledge to her students. She is a life member of FOGSI. Managing routine and high risk obstetric cases. Major and minor gynecological cases. Minor and major gynecological procedure including abdominal.